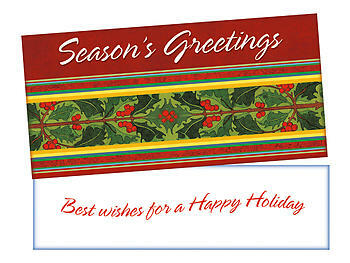 Spread holiday cheer and warmth with this vibrant & colorful gift card / money holder that measures 7" x 3 3/8" and comes with a matching envelope. 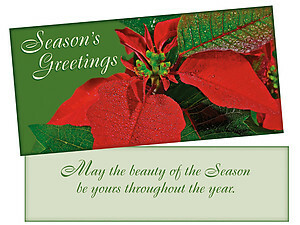 The card features a pocket fold with holiday text that securely holds cash, a check, or a gift card. 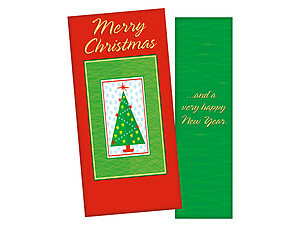 The image shows the outside (top) & inside of card (bottom). 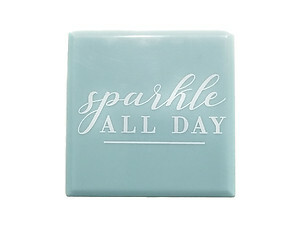 This is a high quality product proudly made in the U.S.A. on durable card stock.